First found this lovely pub a couple of years back & pop in each year to see if I my first & favourable impression was right. Utterly charming & laid back, as a visitor I was made most welcome, even invited to contribute to a local's crossword puzzle. The landlady was friendly & efficient & my pint of Pride (4.25) was fine. 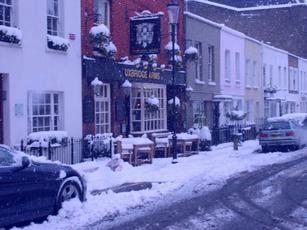 Along with the Churchill Arms this pub is in my London top 10. Parochial locals bar where they will serve the regulars, or people they recognise, first even though you are the only other person waiting and there are two bar staff on. 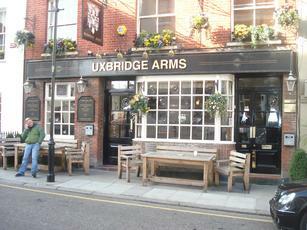 I moved to the area recently (Behind High St Ken tube station, so a bit of a walk) and was looking for a local. This most certainly is not going to be it. Hopefully this one will follow the 15 or so other bars a week that are calling last orders for the final time. Tucked away just off of Notting Hill Road this tidy back street pub is worth a visit. A wooden bar greets you as you come through the doors, 3 ales on hand pump which were London Pride, St Austall Tribute and Harvey's Best. Workers and regulars in on my Monday night visit....no music playing and the tele was off meaning conversation was king. Attentive bar staff, newly painted walls (from brown to beige apparently), a nice friendly welcome and general niceness make this a decent pub for a pint and relax after a days work. Nice little pub tucked away behind Notting Hill Gate tube station. Very pleasant interior and a good pint of Harveys Best Bitter - but it's not cheap (neither are most of the other pubs in this area). Comfortable and quite friendly with a good mix of locals and visitors. Worth finding.